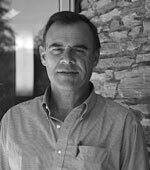 Walter E. Baethgen is the Head of the Program Regional and Sectorial research and the leader for Latin America and the Caribbean at the International Research Institute for Climate and Society (IRI). Baethgen has been establishing regional research and capacity building programs that aim to improve climate risk assessment and risk management in agriculture, health, water resources, and natural ecosystems. Between 2010 and 2012 Baethgen acted as Distinguished Lead Scholar of the NEXUS program (Fulbright Foundation) that aims to inform the elaboration of policy with scientific research. Before joining the IRI Baethgen was a Senior Scientist in the Research and Development Division of the International Soil Fertility and Agricultural Development Center (IFDC) where he worked mainly in Information and Decision Support Systems for the Agricultural Sector (1987-2003). Since 1990 (first with IFDC and now with the IRI) he has been establishing and coordinating regional research programs in Latin America in collaboration with national and international organizations. At CRED Baethgen is linking his ongoing work in the Southern Cone of South America, aimed at incorporating climate information, products and tools to assist decisions and planning in agriculture and water resource management (public and private sectors). The projects that Baethgen is leading cover several temporal scales of climate (from weeks, through seasons, to decades), and are being completed in collaboration with several ministries of agriculture, research centers, insurance institutions and international development agencies.